It was an odyssey that spanned more than four years. In January of 1997, Apple bought Next, bringing Steve Jobs back to Apple -- not to mention Next's Unix-based operating system too. And now one part of the saga finally has a fixed end date: March 24, the day Apple begins selling the finished version of Mac OS X to users for $129. Mac OS X's ship date may be the biggest piece of OS X news Steve Jobs dropped during his Macworld Expo 2001 keynote address in San Francisco, but it's also the simplest piece. More important are the new threads that Apple continues to weave into the tapestry of OS X, even as it gets closer to completion. Credit for a lot of Apple's ongoing changes to OS X should go to the users of the Mac OS X beta, Jobs says. The company has received more than 75,000 beta feedback comments so far. Chief among the OS X complaints: no Apple Menu, no clock in the menu bar, no disks on the desktop, and the behavior and appearance of the Finder. Sure enough, some of those complaints will be addressed in the shipping version of OS X. In the public beta, Mac OS X's menu bar Apple logo was as useful as your appendix: just a monochromatic logo plopped down in the center of the menu bar. But in the version of OS X that Jobs previewed at Macworld Expo, the apple has moved to the traditional left side of the screen and regained some functionality. But this new Apple menu isn't just a rehash of the one you'll find in OS 9. Instead, Apple has taken the opportunity to move systemwide commands out of the Finder and into a menu that's persistent throughout the Mac interface. "We see the Finder as just another app," said Jobs, explaining that you shouldn't have to switch into the Finder in order to find some basic, non-file-related menu items such as Shut Down. As a result, the new Apple menu contains commands like Sleep, Restart, Shut Down, and Log Out, as well as shortcuts to Dock preferences, the System Preferences panel, and Location Manager. The Finder itself -- no longer called Desktop -- has also been modified in accordance with beta-testers' requests. The tool bar atop Finder windows is now somewhat smaller. Moreover, users can modify their tool bars (using a Customize Toolbar command), dragging tool bar items around on the screen until they're satisfied. And clicking on a new, white button on the far right of a Finder window will collapse the tool bar entirely, leaving an old-fashioned Finder-style window. Citing feedback from users who said they loved the behavior of the Mac OS 9 Finder, Jobs said that when the tool bar is closed in a Finder window, clicking on folders in the Finder spawns new windows automatically . . . just as it does in Mac OS 9. Another feature showcased by Jobs was a screen saver with several modes -- in addition to the previously shown screen saver made up of floating Mac OS X icons, there's a new module that zooms in and out and crossfades between any images you choose. Jobs also showed off a redesigned Font panel that's intelligently resizable -- interface elements rearrange and disappear as you shrink it down. Some other new features of Mac OS X weren't shown by Jobs during his keynote, but appear in versions of the OS X beta released since the public beta program was launched in September. In the System Preferences, there are a few new tabs, as well as some new settings. In the networking pane, there is now an iTools tab in which you can enter your iTools username and password. There's also a new Speech recognition setting -- but it doesn't appear to do anything yet. With a command in the Terminal, you can relocate the Dock to the left, right, or top of the screen -- although it's unclear if Apple will make this an option that you can set from a preferences window or by some click-and-drag combination. Apple now has FireWire working like it should in OS X -- simply plugging in a FireWire hard drive causes it to appear on the desktop. And the much-ballyhooed new Sleep feature, which previously only worked on PowerBooks, is now up and running on desktop Macs -- waking a desktop Mac from sleep takes a second flat. Also working are AirPort, printing, and several other OS 9 features that don't work in the Public Beta. However, there are some other core Apple technologies that aren't currently very visible in Mac OS X. Take AppleScript: Support for this core Mac OS technology is weak in the OS X bBeta, and if we can extrapolate anything from Apple's behavior in other areas (for example, the lack of even the barest AppleScript support in the new iTunes digital music player), it's possible that standards of OS 9-based workflows such as Folder Actions may not be present when Mac OS X ships. 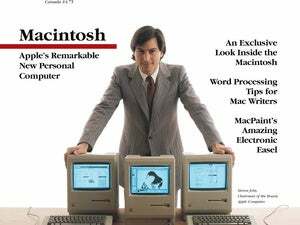 With the exception of Alias/WaveFront's Maya, Jobs also didn't talk about any Mac OS X applications on the horizon, other than to say that he expected an "avalanche of Mac OS apps" to appear in July at Macworld Expo New York. That's good news, because beginning this summer, Jobs said that Apple will begin shipping its systems with Mac OS X preinstalled -- and taking new Mac buyers into the brave new world of OS X, whether they like it or not. Macworld Lab Analyst JASON COX and Assistant Editor BRETT LARSON contributed to this report.